Phuket Vegetarian Festival – Did you visit? 91.5 FM is at the Fifa World Cup and we invite you to join us. The 2018 Fifa World Cup competition is here and 32 Countries from around the World are in Russia ready to compete. We have something to give all of our followers and friends from around the World. 91.5 FM presents The 2018 World Cup Wallchart and it is FREE to download. Keep all the scores and watch your team progress (we hope). So who do you think will win? From a starting point in 1930 when Uruguay not only hosted but won the inaugural event beating Argentina 4 – 2. 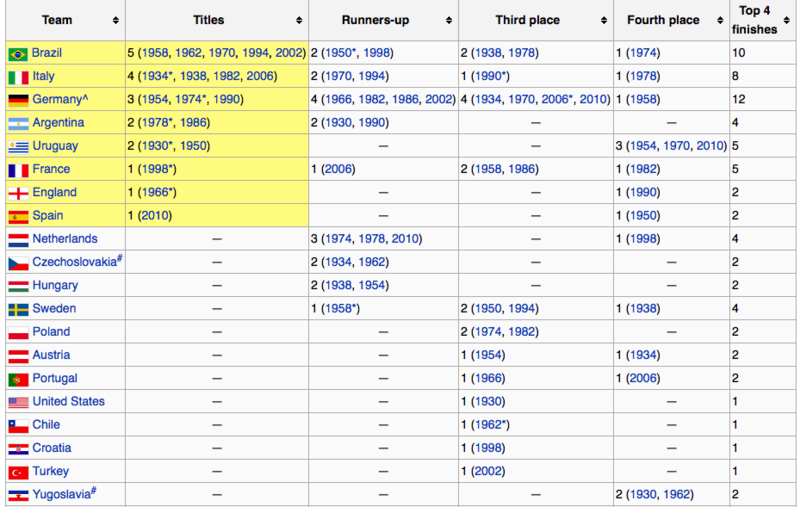 In 1934 the World Cup moved up to 16 teams staying like that until 1982 when 24 nations competed and Italy beat West Germany in the final 3 – 1. 1998 saw the event hosts, France hosting 32 nations for the first time with France beating Brazil in the final 3 – 0. Brazil were the hosts at the last World Cup as Germany qualified and became World Cup Champions in a 1 – 0 win over Argentina. Now the event has 32 participating countries that have been competing in qualifying rounds ready for the start on June 14th. World Cup Teams reaching the top four. Picture Credit Wikipedia. 91.5 FM and East 88 Restaurant and Beach Lounge. 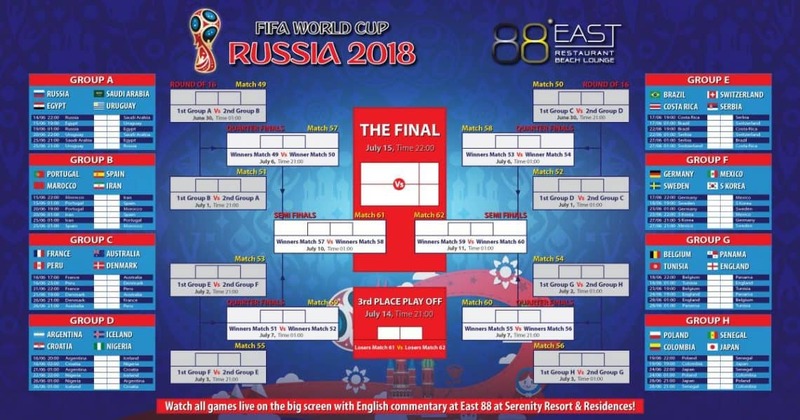 For the last 8 years Phuket FM radio, 91.5 FM has worked and been supported by East 88 and all the team at Serenity Resort and Residences For the Russia 2018 World Cup we have combined to promote not only the FREE Wallchart download but also if you are in Phuket the opportunity to visit and enjoy the games. Each morning the Breakfast Show host will bring us all the latest scores. This is complemented and added to comprehensive reporting from the BBC Sports team in London. Throughout the day 91.5 FM will be reporting on the games, kick-off times so Phuket listeners and our online listeners around the World can stay fully up to date. Do you how and where to listen? Check out our coverage area, for Phuket Island on 91.5 FM and 102.5 FM along with desktop and mobile apps to download. Do you know how and where to listen? Check out our coverage area, for Phuket Island on 91.5 FM and 102.5 FM along with desk top and mobile apps to download. Phuket FM Radio Co., Ltd.